The electric-car market is growing, but remains small. A majority of drivers still stop at the station regularly, filling up their gas-guzzling vehicles and allowing the oil industry to stay in business. But Bloomberg projects more than a third of all cars will be electric by 2040, and the oil companies aren’t buying it. Through numerous calculations based on current rates of car sales, Bloomberg recently predicted the 2020s to be the decade of the electric car—starting just under four years from now. How Bloomberg sees this happening. With a 35 percent decline of battery prices in 2015, the projection slated electric cars to be as affordable as their gasoline counterparts within just six years. Bloomberg predicts that will spark a widespread adoption of electric cars. That trajectory sounds ambitious, but with the rise of electric cars and the ever-increasing number of plans for “Tesla fighters,” perhaps it isn’t. The real “magic year” for electric cars won’t come until 2040, according to the Bloomberg projections. That year, the average long-range electric car could less than $22,000, and 35 percent of all new vehicles on the road would be equipped with a plug. 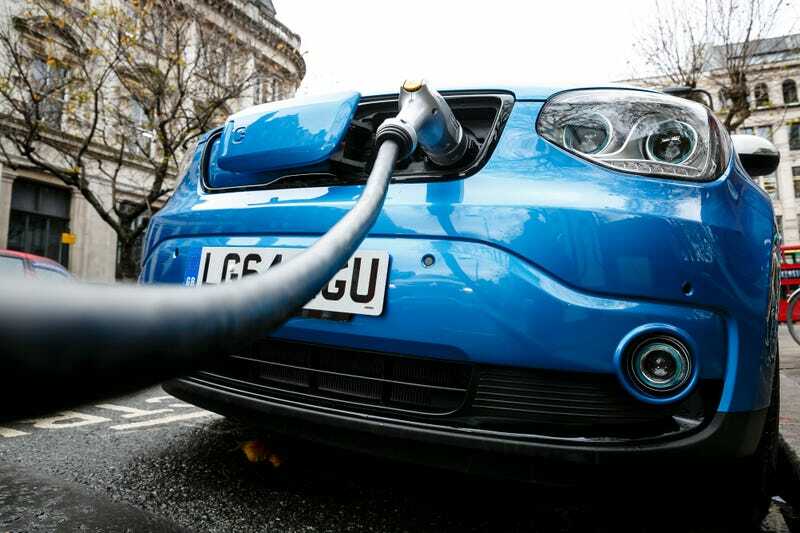 OPEC maintains that electric vehicles (EVs) will make up just 1 percent of cars in 2040. Last year ConocoPhillips Chief Executive Officer Ryan Lance told me EVs won’t have a material impact for another 50 years—probably not in his lifetime. In predicting the potential for a so-called “crisis” in the oil market in the wake of electric-car production, Bloomberg slated that event—which would entail electric cars displacing two million barrels of oil per day—could occur as early as 2023. But that’s aggressive, and accounting for sales drop-offs on electric vehicles would put that crisis further down the road by several years. The report additionally laid out a potential future for electric cars, which looks to be moving in the right direction. The full analysis offers an interesting look at what could become of the electric-car and oil markets, and the graphs—along with the rest of the report—can be found here. Do you think the next decade will see the great electric car boom?